Ask Val: It Is All About Branding.... Who Will Help You? It Is All About Branding.... Who Will Help You? While I have known this was something I should have completed long ago I decided I would do it myself and save some money...If there is anything you should hire a professional to do, it is your internet business. There are many "free" sites and you get what you pay for. I had lots of templates and NONE of them matched. The one thing I have learned is the end result is worth the $$$'s. There are many "quick" fixes on the World Wide Web, but unless you have enough knowledge to know what you need, you should choose the trusted local company who is more interested in you being happy than they are in making a dollar. Check out my business page on FB, Valerie Springer, Network Funding and be sure to "like" while you are there. Then check out my website www.vshomeloans.com . I was also instructed to buy some more domain names and they are pointed to all of my sitesso I will be easier to find. Need help? Of course you do. 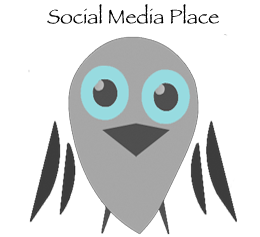 Please call Rhonda Brantley or Tracey Cole with The Social Media Place 2.0 for all your needs. They have packages for all budgets, they can build a blog, website or whatever you require. Call today, you will be glad you did. BTW...by linking to FEMA on my blog, taught by Rhonda and Tracey, I have received three tornado disaster clients this week who found me on the internet! Thank you ladies for a job well done, I LOVE it.